Sometimes, the process of shopping for a new property can be quite a nightmare. Because of all the things that could go wrong with your purchase, you may find it hard to relax when it comes to deciding on your investment. 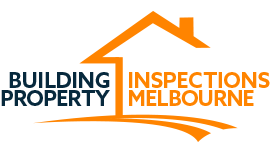 If you are worried about the quality of your investment and want to make sure that you invest in a good property, an inspection from Building Property Inspections Melbourne can bring you peace of mind. We believe that a proper property inspection should be part and parcel of a property investment. Our building and pest inspections near Dandenong are fully insured and are carried out by licensed professionals. If you are worried about spending too much and damaging your property with a casual inspection, we will ease your worries. Pre-purchase inspections near Dandenong are where we shine. We offer a broad range of services so that we don’t miss a thing. All property inspections in Dandenong receive the attention of a trained professional. Our thorough inspections will make sure that you can stay acutely aware of the health of your property. Every observation will be discussed over phone correspondence and marked down on a detailed report. Do not worry about being surprised by unexpected issues post-inspection. Get peace of mind with your property purchase by employing the services of Building Property Inspections Melbourne. We offer prompt service and can meet with a customer the day after making an appointment. We work on your schedule so that we can inspect at your convenience. Whenever you need pre-purchase inspections near Dandenong or any other Melbourne suburb, our agents can be on-site quickly in case of an investment emergency. We are ready to thoroughly inspect for any structural damage or dilapidation with quick service so that you can gain your peace of mind quickly and assuredly. Our property inspections near Dandenong are perfect for ensuring that your property is healthy and up to code. We can also quickly investigate your property and identify pest hives and termite damage. By utilising Building Property Inspections Melbourne, you can know the history your house and make your next move confidently. If you need building inspections in Dandenong, trust our company to do it right. Worry no more about untrained agents overlooking the details. Our post-inspection reports are complete and offer easy-to-read details of our work. You will not be confused or misled by the results of our inspection; we will talk to you over the phone to ensure understanding of our inspection. Fear no more about unexpected defects that might hurt your finances. Get peace of mind with Building Property Inspections Melbourne. If you are ready to attain peace of mind and set an appointment for building and pest inspections near Dandenong, get to know our terms & conditions on the Contact page of our website. Then, give us a call on 0438 280 420 and set an appointment to get one of our agents out to you as quickly as possible. Hurry towards security with us.